There are three different methods of disciplining people in the military: By Court-Martial, Non-Judicial Punishment and/or Administrative Separation. Administrative Separations will be the topic of this discussion. An Administrative Separation is not judicial in nature. There is no judge or rules of evidence which apply in courts-martial. Instead all evidence, both documentary and testimonial is admitted for consideration. Three individuals, usually two officers and one senior enlisted person become the Administrative Separation Board. It is they who hear the evidence and decide two things: (1) whether the person should be retained in the military or discharged; (2) if they decide that the person should be discharged then they must decide what type of discharge the person should get. The options for discharge at an Administrative Separation are: Honorable; General Under Honorable Conditions and Other then Honorable. Notably, any discharge categorization which is less then Honorable will cause the person to lose all benefits to include the GI Montgomery Bill. So General Under Honorable Conditions or Other Then Honorable Discharge causes a loss of all benefits. However, the individual may still be able to apply for benefits for health issues resulting from military service through the VA, regardless of the type of discharge they received. Most commonly Administrative Separations come about when the individual has received two or more negative counseling entries or Non-judicial punishments (NJP) (Article 15). In these cases the grounds for discharge fall under the category of a “Pattern of Misconduct.” An Administrative Separation may also occur after a conviction at a court-martial where the jury (members) declined to discharge the person or after a conviction on a criminal matter in civilian court. The grounds for this discharge would fall under the category of “Commission of a Serious Offense.” In the case of a positive urinalysis on a random drug test processing for an Administrative Separation is mandatory. That is, any person who comes up positive on a urinalysis test MUST be sent to an Administrative Board Hearing if not sent to a court-martial. In a recent Administrative Board Hearing Attorney Will Bruzzo represented an individual who had only been in the military a few months when he came up positive on a urinalysis for a controlled substance. The individual accepted NJP (not recommended!) although he denied intentional use at the NJP (Article 15) hearing. Mr. Bruzzo had the military member testify under oath and cross examined the Drug Lab employee/expert who testified on behalf of the Government. Two officers and a senior enlisted person heard all the evidence which included information that the Drug Lab had been found responsible for contaminating samples and reporting a false positive about a year previous. Mr. Bruzzo also brought to the attention of the board that to discharge the individual the use of the drug had to be intentional, it could not be by mistake or accident. The members of the board then deliberated and returned with a finding that NO MISCONDUCT HAD OCCURRED. As a result the individual was retained in the military despite coming up positive on a urinalysis and being subject to NJP. This was a significant victory with difficult facts. 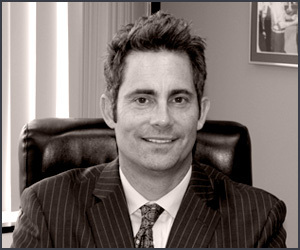 Notably Mr. Bruzzo has been practicing military law for over 20 years. View testimonials on Military Law cases here and other matters. Criminal Law Updates by the Law Offices of Criminal Defense Lawyer William W. Bruzzo (714) 547-4636.